Visiting Philadelphia and looking for a place to swim? Nice choice! Don't forget to tell us how did it go. 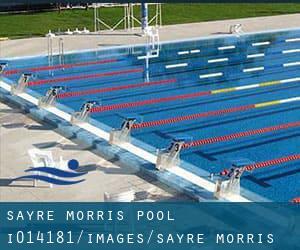 Introducing now Sayre / Morris Pool swimming pool, an amazing swimming pool sent by a swimmer like you few days ago. Have you visit this pool? Do you work here? Please, make contact with us for those who have information that you feel is gonna be useful and remember from now on you can now promote each pool just by sharing this page with your close friends or adding comments in the Facebook boxes below. Come on and assist this pool to be the first in Philadelphia! Among all the activities provided by the center, in case you are considering swimming you will delight in 25 yards, Indoors. If you need to contact this Swimming Pool, email address and phone number are both number. At South 59th and Spruce Streets. Updated on 2019 4200 Wissahickon Avenue , Philadelphia , PA , USA (Postal Code: 19129). Among all the activities provided by the center, for anybody who is interested in swimming you may enjoy 25 yards x 25 meters, 10 lanes, 3.5 feet - 10 feet depth, 10.5f maximum depth, Indoors. Just in case you wish to contact this Swimming Pool prior to dropping by, we only know the phone number. Updated on 2019 Rowland Ave. and Shelmire Ave. , Philadelphia , PA , USA (Postal Code: 19136). This sports center gives 25 meters, 6 lanes, Indoors. Contact information for this Swimming Pool which include phone number and email address are number. Updated on 2019 5722 Greene St. , Philadelphia , PA , USA (Postal Code: 19144). This sports center offers 25 yards, Indoors. Contact information and facts for this Swimming Pool just like phone number and email address are number. Updated on 2019 1200 Market Street , Philadelphia , PA , USA (Postal Code: 19107). Among all the activities offered by the center, for anybody who is considering swimming you will enjoy ~20 meters, 2 lanes, Indoors. Just in case you want to contact this Swimming Pool just before dropping by, we only know the phone number. Updated on 2019 1400 N. Broad St. , Philadelphia , PA , USA (Postal Code: 19121). This sports center provides 25 meters, 6 lanes, Indoors. For this Pool, only phone number is number here. Updated on 2019 4401 ´G´ St. , Philadelphia , PA , USA (Postal Code: 19120). This sports center gives 20 yards, Indoors. Contact knowledge for this Swimming Pool for example phone number and email address are number.